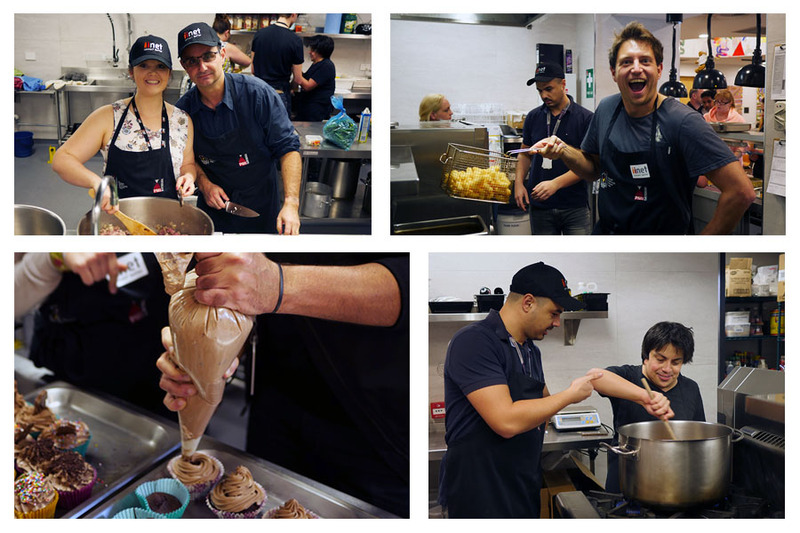 On the 28th of July, the iiTeam visited the Perth Ronald McDonald House and cooked up a storm! The crew rustled up a beef madras, vegetable curry, potato bake, chicken schnitzel, potato gems, and of course, plenty of veggies for all! No matter how much you eat, there is ALWAYS room for dessert, so we thought it best to end the meal by whipping up some decadent cupcakes! 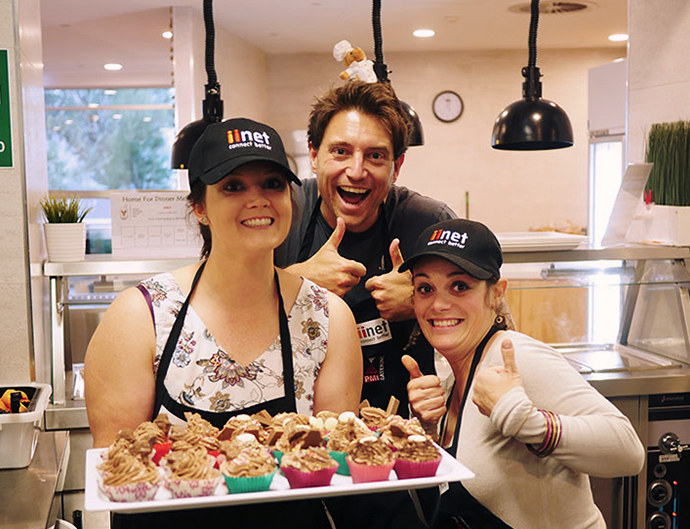 After channeling our inner MasterChef, the iiTeam were treated to a tour of the incredible 47-room Perth Ronald McDonald House facilities, including the play room, gym, games den and learning center. The facilities are equipped to feel welcoming, safe, and homely, creating a home away from home for the families staying there. The learning center is a room of colour: full of arts and crafts! As the education hub of the building, it’s a vibrant place for the children to stay up-to-date with their schooling with the help of the Ronald McDonald Learning Program. A beautiful mobile hangs in the centre of the multi-storey building; created by a local artist, with shapes of stars, bees, fish, and octopuses, to name a few. 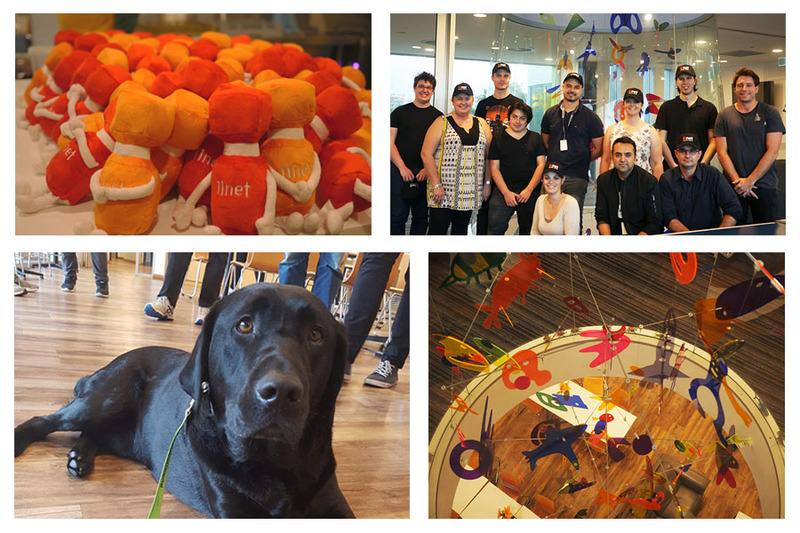 Each shape was drawn by the children who stayed in the previous Ronald McDonald House and with so many different angles to view it from, it forms the perfect centerpiece to the home. If you want to see the house for yourself you can check out the virtual tour. When the food was ready, we shared dinner with some of the families staying in the house, introduced our iiMascots, Ike and Irene, to the kids and even shook paws with the house dog, Gus! Earlier in the year, four families from the Ronald McDonald House Perth skated along with the iiTeam to see Disney On Ice presents Frozen come to life at Perth Arena. In a morning of excitement, laughter and of course, singing – we had our faces painted, did some colouring in, and then sat on the edge of our seats in utter excitement as we saw Disney’s Frozen come to life! It’s safe to say all the kids, even the big kids, had a magical time with Anna, Elsa, Olaf and the gang! The Ronald McDonald House Perth has established a safe, warm and friendly home away from home for regional WA families to stay together while seriously ill children receive treatment in nearby Perth hospitals. In addition, the Ronald McDonald House has programs for the families. The Ronald McDonald Family Room provides families with a relaxing environment within hospitals, the Ronald McDonald Learning Program helps more than 1,200 children a week keep up to date with their schooling, and the Ronald McDonald Family Retreat provides families with a week’s free accommodation so they can reconnect and enjoy a holiday when they need it most. The Ronald McDonald House Charities Australia is an invaluable aspect of the community, helping sick children nationwide. Every dollar makes a difference and isn’t possible without the support of fellow Aussies. If you would like to contribute to this great cause donations can be made online.